Our client is a large Insurance and Investments company with offices in the Enfield, CT area. They are currently seeking an administrative support person for assisting with setting up, managing, and tracking important mailings to their investment clients. Responsible for performing daily office tasks such as filing, recording, maintaining records, running reports, indexing and imaging. Additional responsibilities may include researching, auditing requests, processing work and/or retrieving data or correspondences from files as requested within an appropriate time frame. Helping with mailings and tracking support. Skills: Strong communication and analytical skills, must be well organized and have a strong work ethic. Associates Degree preferred. Derek Carroll has been working in healthcare staffing and recruiting for over 20 years, and has been with J.Morrissey since 2012. Prior to coming to J.Morrissey, Derek ran a private duty homecare company matching caregivers to families, and a staffing agency providing healthcare workers to a variety of settings such as long term care, hospitals, corrections, occupational health, behavioral health and more. As the Branch Manager for J.Morrissey’s Springfield office, Derek continues to staff clinical and non-clinical personnel in those types of healthcare settings, in addition to roles in insurance, finance, commercial and other industries. Derek is also responsible for the daily operations of the branch and its staff, as well as collaborating extensively with the other divisions. 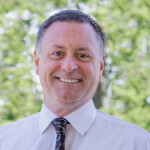 Derek is active in the Pioneer Valley community with serving on the Business Advisory Council for the Mass Rehab Commission and the Allied Health Collaborative through the Regional Employment Board. He also participates with several career services agencies, as well as social services agencies in the region such as Wayfinders and Viability Inc.
Derek received a Bachelor of Science degree in Liberal Arts from Northeastern University in Boston, with concentrations in Philosophy and Psychology.